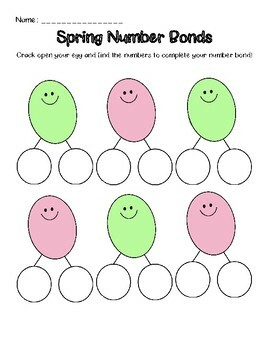 Prepare 12 eggs numbered 1-12 (or purchase number eggs from Walmart in the Seasonal/Easter aisle). Put 3 chicks in each egg, ensuring that 2 numbers go together to make the number on the outside of the egg. 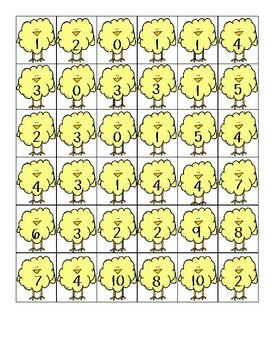 Students will write the number on the egg in the "total" space, and choose the two numbers on the chicks to write in the "parts". 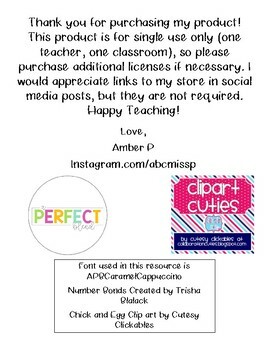 Laminate or put in page protectors for longevity!